ADVENTURE COMICS NO.345 (June 1966) Cover by Curt Swan & George Klein. 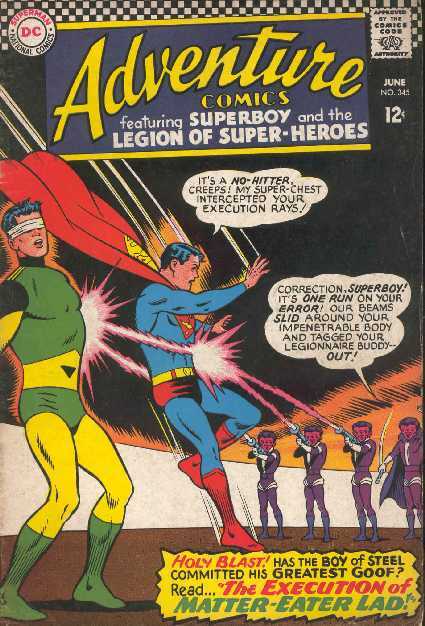 "The Execution of Matter-Eater Lad" Part I by Curt Swan & George Klein. "Duo Damsel's Double Day" Part II by Curt Swan & George Klein. "Pa Kent's Dilema" by John sikela. REPRINT SUPERBOY 41/2 1955.